Take a stroll along the western bank of the River Tame at Tamworth and you might make a surprising discovery. 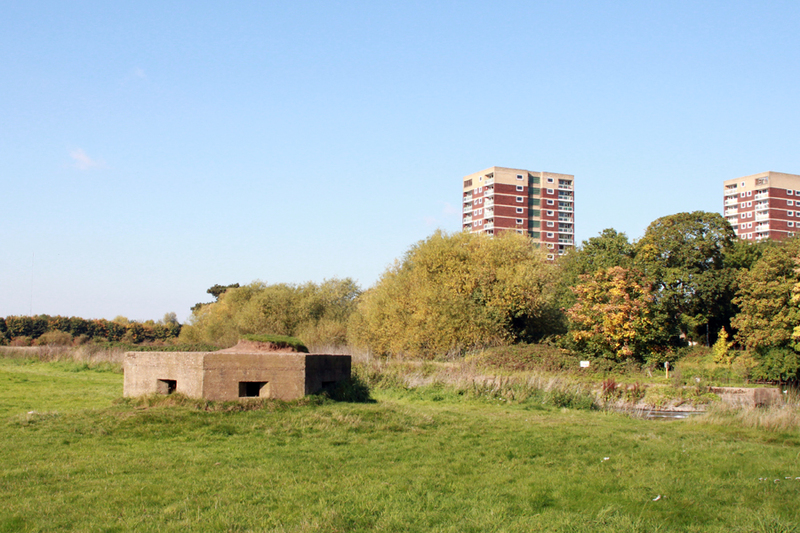 Hunkered down in the grass by the edge of the riverbank, in the shadow of Tamworth Castle, is a squat, hexagonal, concrete bunker. 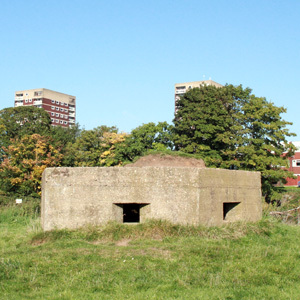 This pillbox dates from the early 1940’s, one of around 28,000 similar defensive structures built at strategic locations across the country to slow down a potential German invasion force during World War II. Follow the river and canal network and you will encounter several more of these fortifications, stark reminders of a dark time in our history. ▸ Read more about anti-invasion preparations during WW2 at Wikipedia. 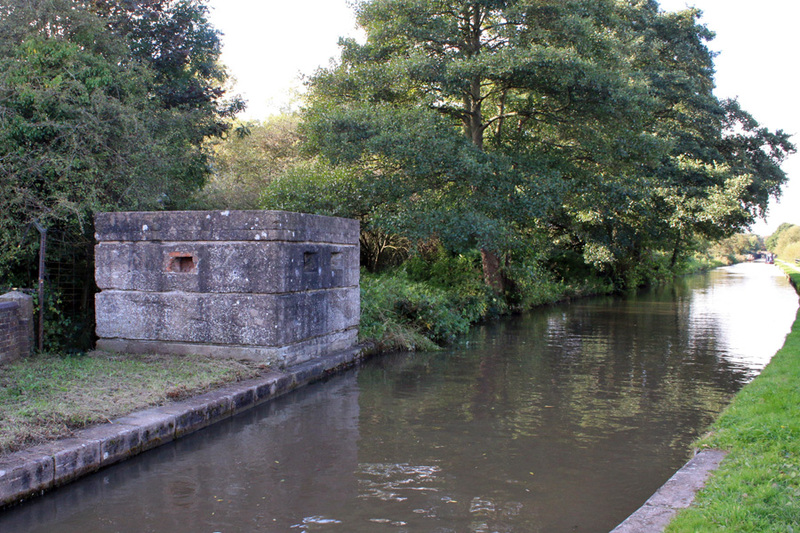 ▸ Watch ‘War on the waterways’ video by Canal & River Trust. This entry was posted in History, Places on 18th October 2017 by Ian Wykes.